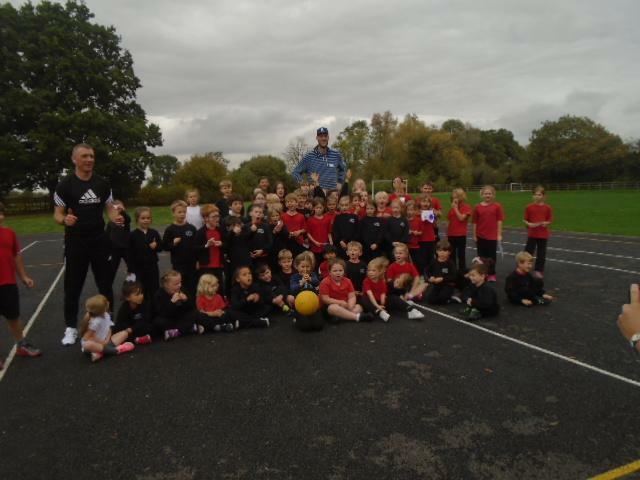 What a fantastic day we have had today..Through our BASKETBALL WOW DAY Paul Sturgess has inspired our children to 'stand tall'. Paul has played for the world famous Harlem Globetrotters and at 7 feet 8 inches is the tallest professional basketball player in the world. 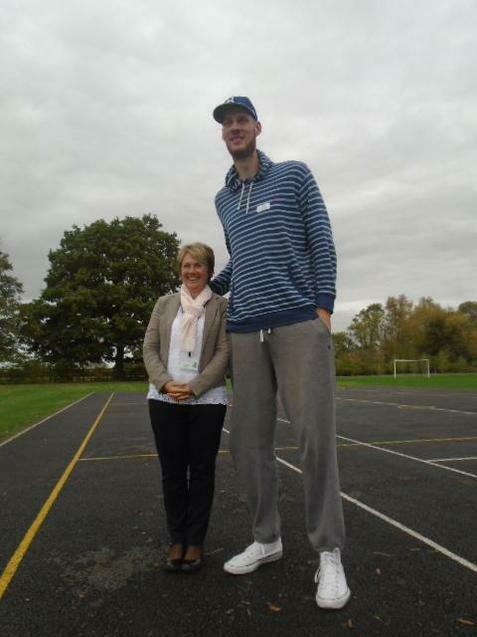 Paul has recently been on television and in national newspapers as he is Britain’s tallest man. Since becoming Britain’s tallest man Paul has begun a career in the movies. Paul really captured the imagination of the pupils and definitely brought a WOW to the day. Lots of our children wanted to continue to play basketball after he had left. Paul showed such passion about sport and clearly wanted to inspire the children to realise their potential, be proud of who they are and to be given the school a day they will never forget. I was speechless and I'm not often lost for words but the assembly was amazing. It was full of music, speeches, videos and inspirational messages. There was Geography, PE, emotional well being, nutrition and science all wrapped into one. The coaching included dribbling, ball handling, passing and shooting. It was fun, high tempo, with music that got the whole school active.